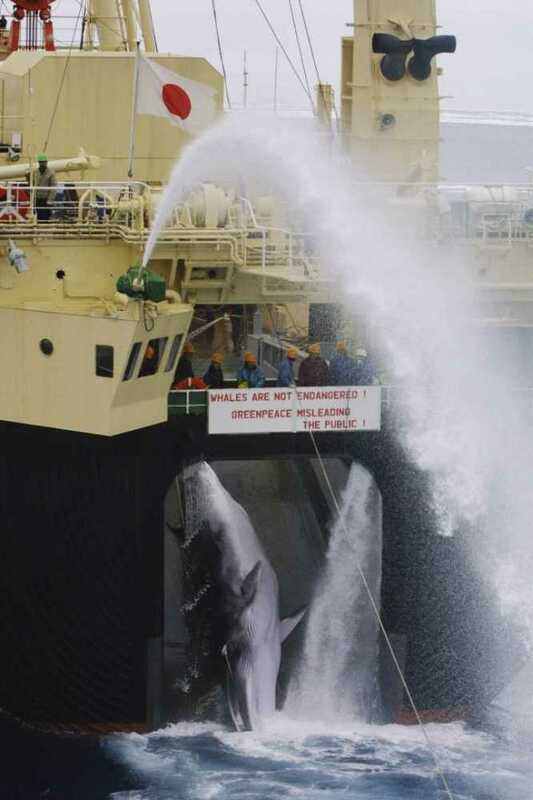 The Japanese Whaling Case involved an application in the Federal Court of Australia for an injunction and declaration to restrain Japanese whaling in the Australian Whale Sanctuary adjacent to Antarctica. The case was brought by a conservation group, the Humane Society International (HSI), under section 475 of the Environment Protection and Biodiversity Conservation Act 1999 (Cth) (EPBC Act) against the Japanese company that conducts the whaling. The application of Australian law to Japanese (and other foreign) nationals in Antarctica was based on Australian sovereignty in Antarctica and subsequent declaration of a whale sanctuary within the waters of Australia’s exclusive economic zone (EEZ) around its Antarctic territory. As the Japanese company had no offices in Australia, to proceed against it HSI needed the permission (“leave”) of the Federal Court to serve the court proceedings on the company in Japan. HSI applied for this in 2004 but it was refused after the Commonwealth Attorney General submitted to the Court that allowing the case to proceed would cause a diplomatic incident. “We are also persuaded that the primary judge was in error in attaching weight to what we would characterise as a political consideration. It may be accepted that whilst legal disputes may occur in a political context, the exclusively political dimension of the dispute is non-justiciable. It is appropriately non-justiciable because the court lacks competence to resolve disputes and issues of an exclusively political type, the resolution of which will involve the application of non-judicial norms: compare Japan Whaling Association v American Cetacean Society (1986) 478 US 221 at 230. Black CJ and Finkelstein J also stated principles for the grant of public interest injunctions under the EPBC Act that are of general importance. Broadly speaking, the principle that emerges is that the Federal Court may grant an injunction under section 475 of the EPBC Act even if it may prove impossible to enforce where it serves the public interest objects of the Act by having an educative effect. HSI subsequently sought an order for substituted service (which is permitted where normal service is impractical). The Federal Court granted the application and HSI effected service on the company. “1. THE COURT DECLARES that the respondent has killed, injured, taken and interfered with Antarctic minke whales (Balaenoptera bonaerensis) and fin whales (Balaenoptera physalus) and injured, taken and interfered with humpback whales (Megaptera novaeangliae) in the Australian Whale Sanctuary in contravention of sections 229, 229A, 229B and 229C of the Environment Protection and Biodiversity Conservation Act 1999 (Cth), (the “Act”), and has treated and possessed such whales killed or taken in the Australian Whale Sanctuary in contravention of sections 229D and 230 of the Act, without permission or authorisation under sections 231, 232 or 238 of the Act. The Court subsequently made orders for substituted service of its judgment and orders on the company in Japan. HSI served the Court’s declaration and injunction on the respondent company in Japan in 2008; however, the company and Japanese Government ignored the orders and continued whaling in contravention of the injunction. In 2015, due to the ongoing whaling HSI commenced an application to have the company punished for contempt of court. “(1) There can be no doubt that the conduct involved has been deliberate, systematic and sustained in circumstances where I am satisfied beyond reasonable doubt that Kyodo had knowledge of what the 2008 injunctions required. Further, the conduct involved required substantial effort and resources to carry out. (2) Even on a conservative view, there have been at least five Antarctic minke whales killed in the Australian Whale Sanctuary in breach of the 2008 injunctions for each of the four years involved. 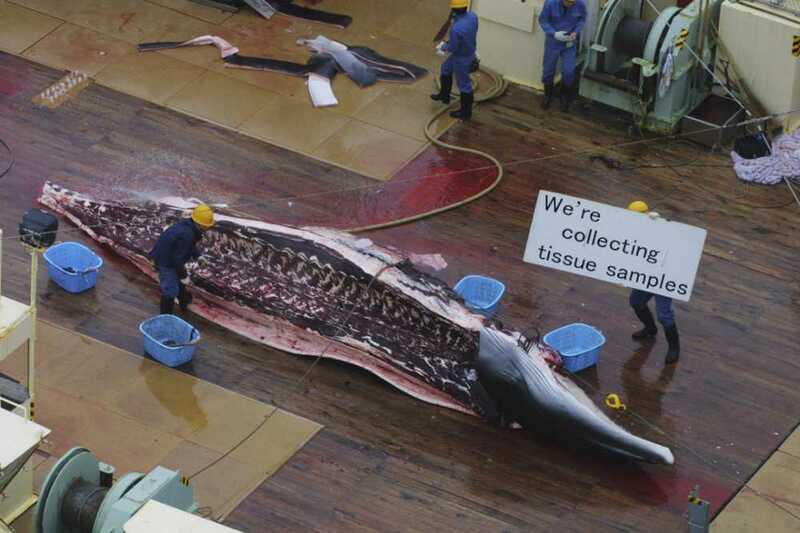 “I am satisfied that a penalty of not less than $250,000 for each of the four whaling seasons [in 2008-2013 when it was alleged Kyodo had committed contempt in] should be imposed on Kyodo. In this regard … I do not see that as in any way excessive, having regard to the serious nature of the breaches which the applicant has established. On 16 August 2018 the Australian Geographic listed this case third in a list of the “Top 5 landmark environmental legal cases in Australia”. 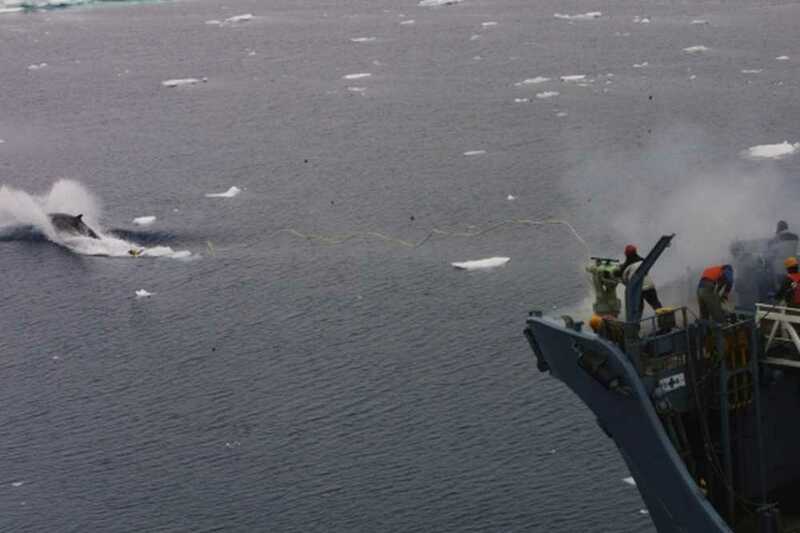 In separate litigation (not the subject of this case study) Australia challenged Japan’s whaling in the Antarctic in the International Court of Justice (ICJ). The proceedings were commenced in 2010 (after the conclusion of the litigation in the Federal Court of Australia the subject of this case study). Australia’s claim in the ICJ against Japan was not based on its sovereignty in Antarctica, the Australian Whale Sanctuary, or the EPBC Act, as HSI’s proceedings in the Federal Court of Australia had been. 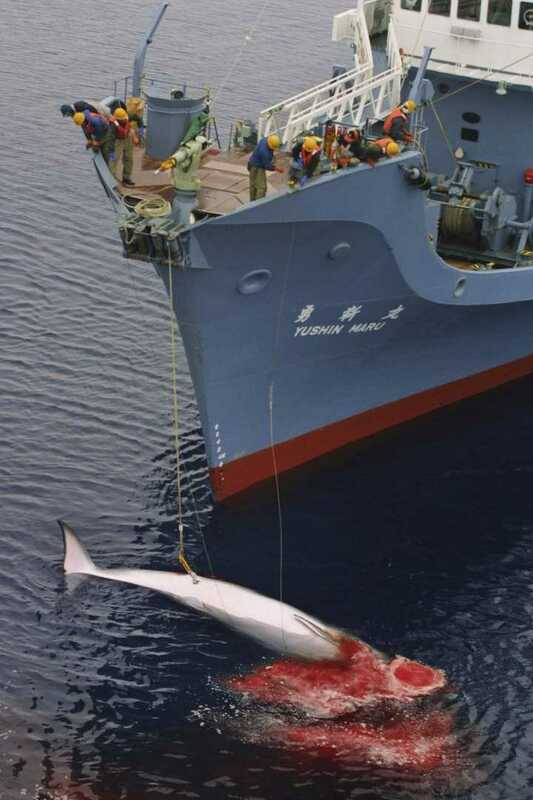 Rather, Australia based its claim in the ICJ on Japan’s obligations under the International Whaling Convention. Japan’s defence was that its whaling was authorised under Article VIII of the Convention, which provides for each Contracting Government to issue special permits for whaling involved in scientific research. In November 2014 Japan announced it would resume whaling in the Antarctic but with a reduced quota of whales. Application and Statement of Claim (filed in 2004 to initiate the proceedings). Amended Application and Amended Statement of Claim (filed in 2005 after the release of JARPA II). Map of the Australian Whale Sanctuary. Affidavit of Kieran Mulvaney, Greenpeace Expedition Leader and author of The Whaling Season. First affidavit of Nicola Beynon, HSI Wildlife & Habitats Manager, setting out evidence of whaling in the AWS. Extract from annexure NJB-3 to the affidavit of Nicola Beynon showing part of the Japanese Cruise Report for 2001/2002 and a map of the location of whaling. Extract from annexure NJB-9 to the affidavit of Nicola Beynon showing an overlay of the Australian Whale Sanctuary on map of whaling from the Japanese Cruise Report for 2001/2002 and a count of the whales killed in the Sanctuary. Fourth affidavit of Nicola Beynon updating the evidence of whaling in the Australian Whale Sanctuary in 2005/2006 and future whaling. Exhibit NJB-19 to the affidavit of Nicola Beynon showing an overlay of the Australian Whale Sanctuary on a map of whaling from the Japanese Cruise Report for 2005/2006. JARPA II research plan presented by the Government of Japan to the 2005 meeting of the International Whaling Commission. 2005/2006 Cruise Report of whaling. Notice of Motion for leave to serve respondent in Japan. HSI’s outline of submissions for leave to serve. Judgment of the Federal Court requesting submissions from the Attorney General: Humane Society International Inc v Kyodo Senpaku Kaisha Ltd  FCA 1510. Commonwealth Attorney-General’s outline of submissions. HSI’s submissions in reply to Attorney-General. Judgment of the Federal Court refusing leave to serve: Humane Society International Inc v Kyodo Senpaku Kaisha Ltd  FCA 664; (2004) 212 ALR 551. Summary of relevant facts for appeal. Outline of argument for appeal. Judgment of the Full Court of the Federal Court allowing the appeal: Humane Society International Inc v Kyodo Senpaku Kaisha Ltd  FCAFC 116; (2006) 154 FCR 425; (2006) 232 ALR 478. Notice of motion for substituted service. Outline of argument for final relief at trial. Supplementary submissions for final relief. Judgment of the Federal Court granting the relief sought: Humane Society International Inc v Kyodo Senpaku Kaisha Ltd  FCA 3; (2008) 165 FCR 510; (2998) 99 ALD 534; (2008) 244 ALR 161 (Allsop J). Sealed order of the Court. Notice of Motion for substituted service of judgment. Submissions for substituted service of judgment. Judgment of the Federal Court ordering substituted service of the judgment: Humane Society International Inc v Kyodo Senpaku Kaisha Ltd  FCA 36. Statement of Charge for contempt proceedings. Judgment of the Federal Court imposing four fines totalling AUS$1 million for contempt: Humane Society International Inc v Kyodo Senpaku Kaisha Ltd  FCA 1275 (Jagot J). A discussion of the international law and policy context of this case is available here. Japan killing Aust whales: claim, The Age, 19 October 2004. Humane Society wins right to file lawsuit against whalers, ABC News, 14 July 2006. Japanese whalers “in contempt” of court, Sydney Morning Herald, 30 September 2015. Campaigners try to halt Japan whale hunt in last-ditch legal fight, The Guardian, 17 November 2015. Japanese whalers Kyodo fined $1 million by Australian Federal Court, ABC News, 18 November 2015. Australian court fines Japanese whaling company $1m for ‘intentional’ breaches, The Guardian, 18 November 2015. $1m fine for whaling company: Why is it so significant? EDONSW, 18 January 2016. “Top 5 landmark environmental legal cases in Australia”, Australian Geographic, 16 July 2018. Australia could launch legal challenge to Japan’s ‘scientific’ whaling hunts, The Guardian, 21 September 2018. In Japan’s ‘city of whales,’ an uncertain future after last Antarctic hunt, Washington Post, 5 April 2019.